Prepare the batter using Wheat flour,Maida, Sugar and Water. The batter should be neither thick nor liquid. Heat a pan. Add the required Oil to fry. 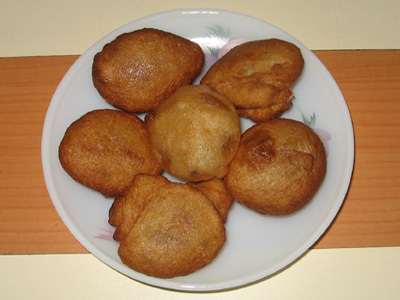 Drop a spoon of batter in round shape into the Oil. This is a tasty dish to prepare in very short time.